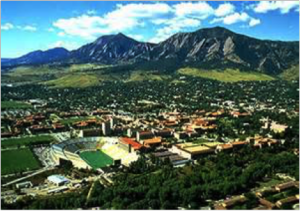 The City of Boulder was approached by Zayo to rent or acquire existing conduit facilities throughout the city enabling them to build a fiber network to existing and new cellular tower facilities. NEO’s Scope of Work. The City of Boulder hired NEO to negotiate their contract for procurement of excess conduit. We conducted a detailed financial analysis of the value of the conduit by assessing the saved costs of construction by acquiring the conduit, the incremental value of additional fibers, the incremental value of building additional conduit ducts and the overall impact to the City of Boulder in reducing traffic interruption and minimizing construction delays. We provided detailed analysis and positioning strategies to city staff members and negotiated a win-win contract with their vendor. The Result. As a result of the City of Boulder’s engagement with NEO, the City was able to have Zayo install a 144-count fiber optic network for the City’s use at no charge to the City, was able to receive $1.7 Million for the acquisition of the conduit, had additional conduit installed at no cost and is positioned to become a Gigabit City. The City Council considered and moved forward on a ballot measure to exempt Boulder from state limitations on broadband investment. The ballot measure passed in 2015 and reestablished city autonomy for investing in community broadband services currently limited by Colorado Senate Bill 152 (SB-152). SB-152 includes a provision allowing Colorado municipal governments to exempt themselves from the law’s provisions via a public vote. The Boulder community would significantly benefit from more economical, higher-capacity broadband services, given their tech-savvy demographic, readiness for next-generation services, and publicly available fiber-optic infrastructure.